All orders are shipped F.O.B. Order Acceptance: All orders are subject to approval at our headquarters in Saugerties, New York (USA) 12477. Our sales associates are ready to take your order on our toll free lines Monday - Friday, 8:30 AM to 7:00 PM EST. Certain products announced by the manufacturer & included in this catalog may not be available at press time. We will do our best to give customers an anticipated delivery date based on our suppliers’ estimations. These estimations are subject to change. If you choose to order such an item, your credit card will not be billed until the item has shipped. All orders placed through Markertek are subject to a standard $3.00 handling charge. This charge is reflective of the cost of processing and packaging your order and is a guarantee of our service during and after the sale. Open Account: Most accounts can be credit scored within 48 hours via our direct link with Experian. Orders from Experian rated firms, government agencies & public institutions, meeting our credit standards, will be shipped on open account. Terms are NET 20 days from date of invoice. We will charge 1.5% Late Charge per month (18% annually) on all past due balances. Open account is also available to other businesses & private institutions pending our credit approval. Credit references from a bank & (6) trade sources including account numbers, addresses & phone numbers are required for credit clearance (please allow 30 days). Credit & Charge Cards: Visa, Mastercard, Discover & American Express orders are accepted. Please supply your account number, full name as it appears on your card, expiration date & bank code (where applicable). Handling and/or shipping charges will be added to the charge slip. All cards are subject to verification of billing & shipping address. Debit Cards: Markertek is not responsible for spending holds or insufficient fund availability on debit card transactions or declined amounts. There are two transaction allocations applied to every order, initial funds verification and charges of the actual sale. Check with your financial institution's policies concerning any debit card related issues, which may vary depending on use. International Orders: All accounts outside of the U.S.A. are encouraged to pay by Wire Transfer, Letter of Credit, or Cashiers Check, in advance of shipment. There is a minimum purchase requirement of $100.00 for all international orders. Canadian customers can call toll-free 800-522-2025, and are exempt from the $100.00 minimum order requirement. International Orders Will Get The Very Best in Service. Credit Card Policy - All international credit cards are subject to advanced verification (billing name / address & ship to address, if different from billing) to complete the sale. This may delay the shipment of your order, as some banks in certain countries have strict laws prohibiting personal information requests. We reserve the right to refuse or cancel orders that cannot be validated. A customer service representative will contact you with further information or make alternative arrangements. Duties / Customs / Fees -International orders are subject to local import fees, duty, customs VAT charges, and additional taxes in the country of destination. Markertek is not responsible for, nor can give any specific information on import fees, duty, procedures or taxes you must pay when your merchandise arrives. Certain freight carriers have set clearing houses that may incur separate transit charges. If a shipment is refused by you, you are responsible for all outbound and return freight charges as well as any penalties up and above the agreed transaction. We advise you contact your local government import office for information regarding imported merchandise and all steps necessary to receive goods purchased from the United States Of America. Markertek will provide all necessary export paperwork to ship your merchandise in a timely fashion. We are required to tag all packages with the exact value of merchandise. All international orders may require extra time for processing and we cannot guarantee time sensitive deliveries. Some international banks do not allow verification of your credit card or financial information. Markertek will make every attempt to do so, but may have to decline a sale if this necessary information is not made available to us. Sales Tax: Sales Tax is only charged for orders shipped within New York State (or orders shipped FOB), for the order total including the amount of the shipping charge. New York customers will be charged sales tax according to their county’s jurisdiction. If tax exempt, please send or email a copy of the exemption certificate with your order.We are required to collect tax for shipments originating and delivering within the same state (drop-shipments). Substitutions: We reserve the right to substitute items of comparable function & quality in cases where the manufacturer has discontinued or has difficulty in delivering a specified item. Substitutions are returnable. Bids, Quotes & Contracts: Special offers, bonuses & premiums presented by Markertek do not pertain to bid, quote & contract sales. Prices: All prices are subject to change without notice. Orders will be invoiced at pricing prevailing at the time of shipment. Prices are not guaranteed. List prices shown on this website are suggested by the manufacturer of the respective item. When the manufacturer has not established a list price, Markertek will establish its own list price based on what we believe the market to be for that item. This does not mean that we have ever sold the item at list price. Special Offers, Closeouts and Demo/B-Stock Items: Special pricing and availablity on New/Unused, Closeout or B-Stock items is valid solely for items that are In Stock, and quantities may be limited. Please contact sales if you wish to purchase several Special Offer, Closeout or Demo/B-Stock Items to ensure availability. Effective Date: The prices, terms & conditions outlined on this site and in the Markertek Print Catalog supersede all those printed in previous catalogs & are effective September 1, 2013. Cancellation Charge: All transactions requiring special ordering, handling, parts, labor or freight are subject to charges based upon cancellation. All Belden products carry a no cancellation after 48 hours of your order, policy. Once your order is 48 hours old, you may not cancel it. This is Belden's policy, we will work with you when able regarding products we normally stock. PayPal Accounts: or other instant online payments are not accepted / supported by Markertek. Due to restrictions placed upon us by manufacturers, computers/hardware & software are warranted by the manufacturer only. Installation of unauthorized computer programs and software, including files downloaded and accessed on the Internet, can introduce security vulnerabilities. We are not responsible for anything installed on your device(s). You must contact each manufacturer directly for operating system & software updates. All provided/configured software is registered with the respective software companies & is subject to terms and conditions of use thereof. All software purchases are non-returnable. Once an activation code is transmitted via email or communicated via any other means, all sales are final. At Markertek, we always strive to meet your delivery needs while shipping your order at the lowest possible rates! We offer Free Ground Shipping on thousands of items for website orders over $25.00. Orders under $25 may qualify for $6.95 Flat Rate Shipping. Please read all shipping policies as well as terms and conditions before selecting the shipping option on your order. Feel free to call 800-522-2025 if you have any special delivery needs, requests or questions. Free Shipping & Flat Rate Shipping offers are only available in the contiguous United States and only available to those orders shipping to a single address. It may not be combined with other offers or discounts. Orders shipped to Alaska, Hawaii, or International addresses do not qualify. on product pages, brand listing pages and category pages to indicate if the product(s) you are purchasing are eligible for Free Ground Shipping. Markertek will determine the free shipment carrier at its discretion using the most reliable & economical carrier serving your area. Common carriers include the United States Postal Service, UPS and FedEx. Delivery times range from 3 to 10 days, depending upon the distance to the destination. Free Shipping & Flat Rate Shipping do not apply to special orders or oversized/overweight products. Expedited services such as overnight, 2-day, 3-day and express service also do not qualify. Expedited shipping is available at an additional cost and calculated at checkout. If you return a purchase delivered using a free shipping method, then the cost of shipping will be deducted from any refund or credit if applicable. For those items not eligible under the terms & conditions of Free Shipping, the shipping charges will be prepaid & added to the cost of your order. Special drop shipments on large orders need extra time for production and/or truck shipment. In these situations, shipping charges may follow on a separate invoice. All orders are shipped F.O.B. ship point (usually Saugerties, New York 12477) unless items are shipped directly to you from the manufacturer ( Dropshipment ). Shipping Quotes: Markertek sales representatives will make every attempt to provide you with a fair and accurate price quote for shipping costs. Verbal quotes are given as a guideline only and may differ from the exact cost. We reserve the right to honor only freight quotes provided in writing by Markertek. Due to reconsignment of shipping from various freight carriers, it make take 45 days to charge/invoice for shipping and/or other related delivery charges. A separate charge/invoice containing these additional delivery/and or freight charges may occur. Dimensional Size: Dimensional weight considers density, which is the amount of space a package occupies in relation to its actual weight, to determine billable weight. In some cases, dimensional packaging charges cannot always be determined at the time of your order. Markertek cannot authorize any carrier to release a package without signature. Shipping Cutoff Times: If your order was received prior to 3:00pm M-F EST, it will be scheduled to ship the same day if it is either 100% complete or you've requested a partial shipment. Please note: Orders may be held for credit or security verification. We will contact you quickly if any additional verification is necessary. Please contact us ([email protected]) if you need to make any further changes to your order or shipping method. Once your package is in transit, we will e-mail a detailed confirmation of your order which includes order total, shipping amount, and tracking information. Signature Required on Residential Shipments: Our carriers require a signature on all shipments sent to a residential address. Please plan accordingly so your package can be delivered in a timely fashion. Truck Freight Deliveries: Some larger items sold by Markertek, such as TVs, large rack cases and furniture, must be delivered via Truck Freight. Such items may only be shipped in within the 48 contiguous United States. Truck drivers are required only to deliver to your curb-side & are not required to assist the customer beyond the point of delivery. PLEASE HAVE ASSISTANCE AVAILABLE if you have ordered a truck shipped product. Please allow 2-3 weeks for delivery of trucked items. Please Note on All Truck Freight Deliveries: Inspect the pallet or container carefully prior to signing the Bill of Lading. Most freight carriers will not cover damages once the BOL has been signed. Shipping descriptions like "Next Day", "2-Day", etc. are used to denote service levels and do not guarantee when you will receive your order. They represent time in transit after an item has been shipped. The delivery times are based upon item availability and shipping to urban areas within the continental US (48 states). Delivery to rural areas, Alaska, Hawaii, Puerto Rico and APO/FPO addresses may take longer. Merchandise in the original, unopened manufacturer's package that is undamaged may be returned within 5 days of receipt (excluding special order items) without a restocking charge. Otherwise, merchandise must be returned PREPAID via an insured service within 30 days from date of receipt and is subject to a 25% inspection & restocking charge (except in-warranty defective merchandise or merchandise shipped in error by Markertek). Shipping & handling charges are not refundable. All returned merchandise must be in resell able condition & include all documentation, manuals, warranty cards, accessories etc. If any of these items are compromised, missing or lost, we reserve the right to refuse the return or apply a restocking fee above the standard percentage charge. Any returns after 30 days are subject to refusal. Please Note: The following items are not returnable unless shipped in error or defective. Non-stock / Special order items or custom items are non-cancelable or returnable. Copyrighted materials: Books, pre-recorded tapes / CD / DVD, forms and software (whether shipped in a box or downloaded). Bulk Wire & Cable Cut to Order by the foot. Bulbs / Lamps, chemicals, expendable batteries or items that show use. Microphones, headphones or any item that has contact with ears / eyes or mouth. TV’s / Combos or LCD / Plasma displays larger than 25 inches. Items that are over 30 days from date of acceptance / delivery. Freight intensive or truck freight items that have been drop shipped to you. All returns may be subject to a 25% inspection & restocking charge (except for in-warranty defective merchandise or merchandise shipped in error by Markertek). Each refund check processed will incur a $10.00 processing fee. Shipping and handling charges incurred by any returned item are not refundable (except for merchandise shipped in error by Markertek). All returned merchandise must include all documentation, manuals, warranty cards, literature, accessories etc. If any of these items are compromised, missing or lost, we reserve the right to refuse the return or restock up and above the standard percentage charge. All returned merchandise must be re-packaged as "a box within a box." Please do not ship your return in the original manufacturer product boxes as the primary packaging. Boxes can be marred and damaged, which will degrade the condition of the box and will seriously affect its restocking / resale value. Markertek will make every attempt to assist you if a product you've purchased from us has failed or needs repair. We do not provide emergency loaner or replacement items at no charge. Repair Charges / Service Fees: If you have purchased an item that requires service, we encourage you to contact the manufacturer directly to make arrangements for repair. This is a more convenient avenue for you to communicate and deal directly on product issues and have the manufacturer expedite and extend their expertise to you. If you send the item to us to forward to the factory, there is a $25.00 service fee for all items – plus any additional repair and freight charges. Please contact our customer service department for advisement or warranty repair information. Please allow ample time for processing your return (typically your next credit card statement). If you have any questions regarding the status of a return & or the eligibility of an item you wish to return, feel free to call our customer service department. Questions? Email the Returns Department. United Parcel Service (UPS - 800-742-5877) - Contact your local UPS office for an inspection report. Do Not return the merchandise yourself. Follow the instructions of your UPS representative. Keep a record of the name and extension of the representative. Federal Express (Fed-Ex - 800-463-3339) - Contact your local Fed-Ex office for an inspection report. Do Not return the merchandise yourself. Follow the instructions of your Fed-Ex representative. Keep a record of the name and extension of the representative. Parcel Post (USPS) – If merchandise is damaged, take the package to your local post office & file a damage claim. The post office will investigate the claim & make restitution to cover the damage. Keep a record of the postal representative who assisted you with the claim. Truck Line – If merchandise is delivered to you in a damaged condition, note the nature of the damage on the driver's copy & your copy of the freight bill. Have the driver sign both copies. You can now file a claim with the carrier. If concealed damage is found, keep the damaged carton & call the truck line immediately for an inspection report. Merchandise lost in shipment will be replaced upon notification from the carrier of non-delivery and after a claim is filed. Claims & Shortages: Claims for shortages/missing items must be made to Markertek within 2 business days of receipt of shipment. Claims for non-delivery must be made within 10 business days from date of invoice in order for us to properly assist you in your claim against the carrier. Partial Shipments & Backorders: Every effort is made to ship orders fast & complete. We will partial ship & backorder where we deem appropriate unless otherwise instructed. Backordered items will be automatically shipped & invoiced when they become available. Partial shipments are due for payment within 20 days of invoice date. Some drop shipments, furniture & large production orders may require extra time for delivery (please allow 4-6 weeks). If you cannot accept partials, please indicate in writing on your purchase order. The warranty period for products sold by Markertek are governed by the policies of the product manufacturer. If the product is defective in material or workmanship, or fails to operate for its intended purpose as described during the warranty period, you can contact the manufacturer directly or we can assist to have it repaired or replaced. There are no other express or implied warranties except as set forth herein. Markertek or Tower Products Incorporated shall have no liability or warranty covering you or any third party for special, incidental, indirect, exemplary or consequential damages or any other economic hardship arising out of the use or inability to use the products, and in all cases our liability is limited to strictly to replacement, repair or the value of the product purchased. Markertek is not responsible for typographical or photographical errors and reserves the right to make adjustments or corrections due to changes in the market or product discontinuations. All pictures which appear in TVs and video equipment are simulated. Please remember to back up all data before computer hardware or software installs. We are not responsible for lost data. Markertek strives to provide accurate and complete information published in our catalogs and on our web site(s). Unfortunately, some documents and graphics published on this website may contain technical inaccuracies or typographical errors. Markertek makes no representations about the suitability of the information and graphics presented on this site. All such documents and graphics are provided "as-is" without warranty of any kind. If a product is listed at an incorrect price, Markertek shall maintain the right to refuse or cancel any orders placed at the incorrect price. If the order has been confirmed and charged to your credit card, Markertek shall immediately issue a credit in the amount of the incorrect price. Note: Markertek does not guarantee Markertek prices listed on other web sites or price engines. Markertek USA Distribution Center - All pickups for merchandise must be arranged in advance. Pickups are between 8:30am to 5:00pm. EST. Exit #20 off the New York State Thruway. Approximately 100 miles north of New York City and 50 miles south of Albany New York. From the South: Take exit #20 (Saugerties Exit) off the New York State Thruway. After you pay toll, take a right on Route 212, and another quick right (At Mobil station) onto Kings Highway. Proceed down Kings Highway about three miles and look for Crossroads Technology Park sign on the left hand side in front of the Markertek Distribution Center. From the North: Take exit #20 (Saugerties Exit) off the New York State Thruway. Take a left after exiting the toll plaza. At next intersection (Route 212), take a left which will take you over the Thruway. Go straight through the next traffic light at McDonalds and prepare to merge right. Take a right at the next traffic light at the Mobil station onto Kings Highway. 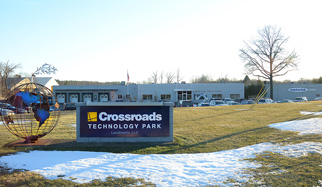 Proceed down Kings Highway about three miles and look for Crossroads Technology Park sign on the left hand side in front of the Markertek distribution center. Markertek may at times, include your name / company name and a brief mention of your patronage in our newsletters / RSS feeds. This is not an endorsement of our products or services, just an acknowledgement of the hard working customers that we serve daily in the professional Video, Audio & IT industries. Safe and efficient, PELASPAN PAC® loose-fill is a high-performance, flowable cushioning material that can be used to protect any product. Reliably filling the space and the gaps around the product, PELASPAN PAC® loose-fill provides added protection by combining strength and resilience for excellent blocking and bracing properties. As with all Storopack products, our goal is to find the optimal environmental approach with each of our packing materials. PELASPAN® PAC Loose-Fill is durable enough to be used over and over again and when it's ready to be discarded it can be recycled at one of Storopack's many participating recycling facilities or a local drop-off center that accepts EPS loose-fill for recycling. These terms and conditions apply when referenced by any purchase order or other documentation of Tower Products, Inc. or any of its affiliates. Supplier shall have the right to direct any claim or suit, and to adjust and settle any Liabilities; provided, however, that no settlement of any Liabilities shall be binding on Tower without its prior written approval, for which Supplier is liable under the terms of this purchase order, including the right to select legal counsel and/or claims adjusters. Tower Products Incorporated agrees to give Supplier written notice as soon as reasonably possible of any claim or suit known to Tower for which Tower seeks indemnification, and to reasonably cooperate with Supplier in the defense of any such claim or suit. Tower Products Incorporated may, at its sole expense, retain its own counsel to participate in such defense. California's Proposition 65 entitles California consumers to special warnings for products that contain chemicals known to the state of California to cause cancer and birth defects or other reproductive harm if those products expose consumers to such chemicals above certain threshold levels. We care about our customers' safety and hope that the information below helps with your buying decisions. Proposition 65 requires the State of California to publish a list of chemicals known to cause cancer or birth defects or other reproductive harm. This annually updated list includes more than 800 chemicals. Proposition 65 requires businesses like ours to notify Californians about significant amounts of chemicals in the products they purchase to help consumers make informed decisions about protecting themselves from exposure to these chemicals. Copyright ® 2014 Markertek Video Supply, Div. of Tower Products, Inc. Certain products in this website and print catalogs are covered by U.S. patents and/or patent applications. No copying or reproduction of the format of this website, catalog, or any of the designs, layouts, copy or pictures is permissible without the express written consent of Markertek Video Supply. Copyright form SE has been submitted, & any & all acts of copyright infringement shall be legally pursued by Markertek Video Supply toward complete recovery & relief. All logos and tradenames used within this website and print catalogs are respective trademarks of their corporations. MARKERTEK® and TECNEC® are registered trademarks of Tower Products Incorporated, registered in U.S. Patent and Trademark Office. All rights reserved.